Family Planning: Has Cristiano Ronaldo Hinted He's Returning To Old Trafford? Family Planning: Has Cristiano Ronaldo Hinted He’s Returning To Old Trafford? 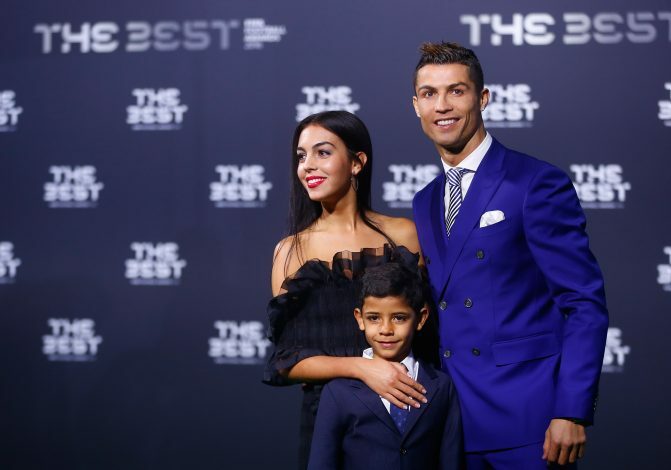 Real Madrid star Cristiano Ronaldo has been looking for private schools for his 7-year-old son in England, amid rumours suggesting he has fallen out with the Galacticos, and is ready to return to the Premier League. Ronaldo had joined Real Madrid from United in 2009 for a then world-record fee of £80 million, after spending six glorious seasons at Old Trafford. However, his latest actions have put the Red Devils on high alert, as it could mean a sensational return, as well as a reunion with Jose Mourinho, with whom he worked for three years at Madrid, is now on the cards. The Daily Mirror revealed that the 32-year-old Ballon D’Or winner has also been looking for houses in Leatherhead in Surrey and a flat in central London, besides a top fee-paying school in the UK. All of this may be originating from the supposed rumours that Ronaldo had a heated exchange with club president Florentino Perez, and now seems to have asked for his buy-out clause to be slashed from £900m to £90m. The reason for the bust-up is not known, but it could be because of the failed promise of a pay rise, and also due to the growing possibilities of a high-profile Real Madrid move for PSG superstar Neymar next summer. With Ronaldo’s exit, there could be a possible overhaul at the Bernabeu, which could see the likes of Gareth Bale and Karim Benzema leave the club as well.